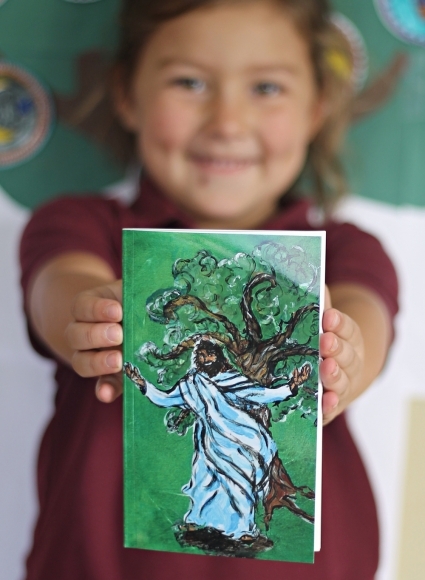 As a mother of young children, I worked hard to create ONE resource that is the ENTIRE Jesse Tree devotion: Key Verses, Kid-Friendly Explanations, Prayer and Ornaments to Color. No need to plan or stress, just pick up the book each day of Advent and pray! 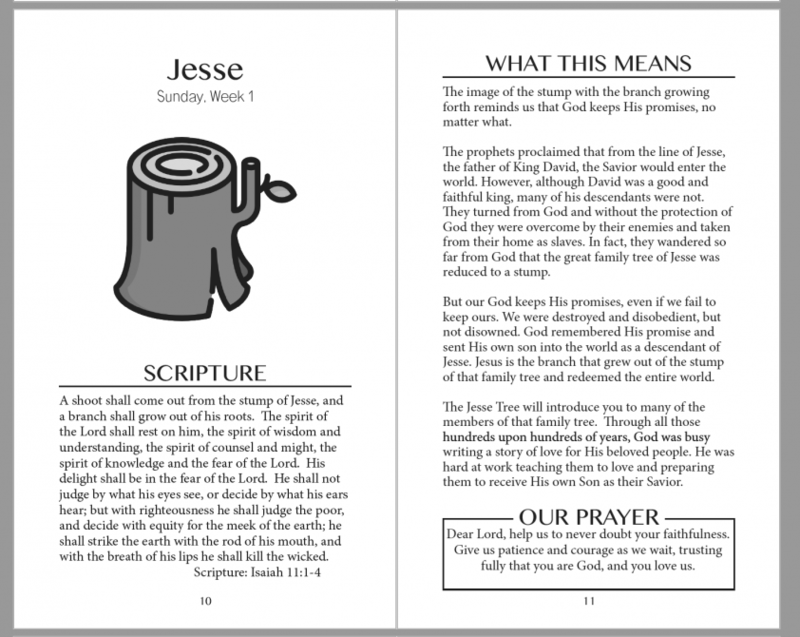 When you purchase the Jesse Tree Booklet, the digital bundle (see details below) is included in your purchase. 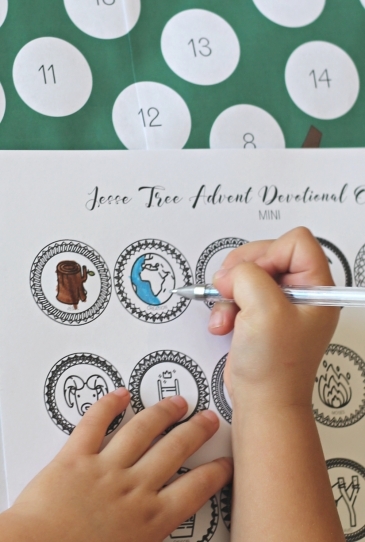 A Jesse Tree Devotional designed for young families who want an easier, more meaningful Advent experience. For years I have had a love/hate relationship with the Jesse Tree. I LOVED the idea....but by the end of week 2, I mostly just HATED it. 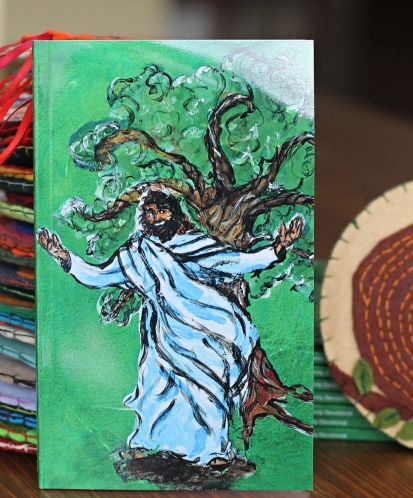 The first stories of the Jesse Tree--Creation, Noah, Abraham--were fun to share and discuss with little kids, but it was hard to figure out which verses to read, and by the time we got to characters like Gideon and Habakkuk...I had literally NO IDEA what was happening. My confusion would lead to less motivation and pretty soon we were days or weeks behind with our Jesse Tree. And, another Advent would go by, leaving me feeling like a failure. Past failure and frustration lead to my motivation to make the Jesse Tree USABLE and FRUITFUL for families like mine: families with little kids and parents who are not Biblical Scholars. A couple of KEY verses for each ornament, included in the booklet, so that you don't have to read LONG sections hard for children to sit through. It is important, however, to read a few REAL scripture verses. Kid-friendly explanations of each ornament that break down the complete story, explain the historical and Biblical context and connect these events to the coming of Jesus Christ all in a way children will understand. Powerful family prayer that draws on the lessons taught in the Old Testament, that still apply to use today. 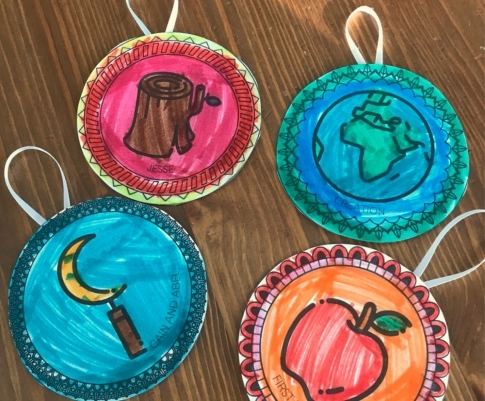 Printable Ornaments, in various sizes, that you can use and reuse each year. Just print another set! Included in the purchase of this book you will also have access to a large digital library that includes ornaments in various sizes, countdown trees and various resources for parents. Wait, What's a Jesse Tree Exactly? 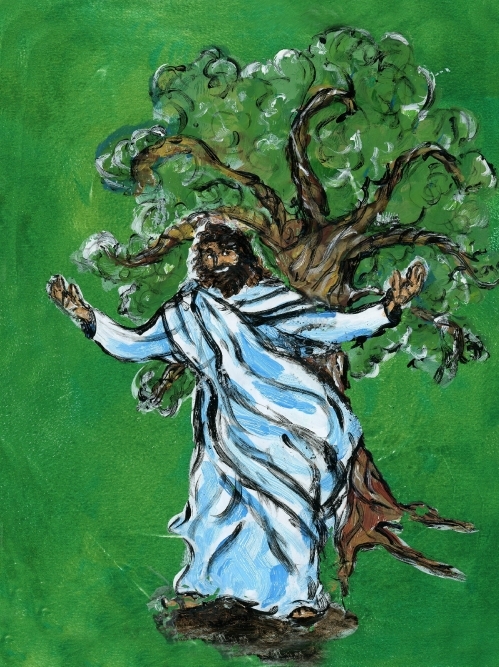 Simply, the Jesse Tree is a Advent Devotional that explores the ancestors of Jesus Christ. A different character from the Old Testament is assigned to each day of Advent for the Jesse Tree. As you explore each character you read a small passage from the Bible, discuss how this character fits into the bigger story and color an ornament to hang on the tree. The Jesse Tree is a beautiful activity because it encourages us to WAIT with the Israelites during Advent, instead of jumping right into Christmas. The Jesse Tree also helps us understand where Jesus fits into the bigger story of the Bible and all that foreshadows His coming long before He came. Most importantly, though, the Jesse Tree allows us to get to know the character and ways of God the Father. Slowly, over generations, God worked on the hearts of His chosen people. He taught them to love, to listen to His word and to follow His commandments. And, it was only after God had patiently taught all of these lessons that His people were ready to receive Jesus, their Savior. Likewise, we too need to learn these lessons and grow in understanding of God the Father so that we might be better able to receive Jesus at Christmas. 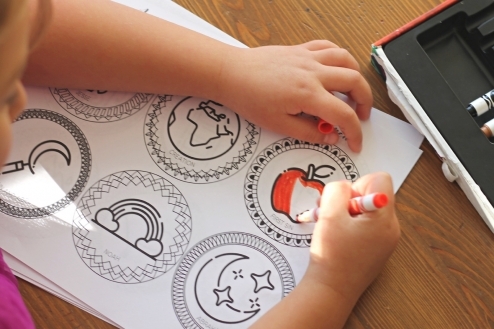 Printable Ornaments for Children to Color in 2 Sizes. Suggestions for using this booklet (with 29 characters) for Advents that are less then 29 days long. Detailed instructions for putting together the printable Jesse Trees. Still not sure what to expect with this Jesse Tree Booklet? Hopefully the answers to these frequently asked questions will help! IS THIS A DIGITAL OR PHYSICAL PRODUCT? When you purchase the Jesse Tree Advent Devotional Booklet you will get both the physical booklet as well as a Zip drive packed with all of the digital files you could possibly need to bring this devotion to life for your family or classroom. 2. Digital file of ornaments to be printed and used each year. 4. 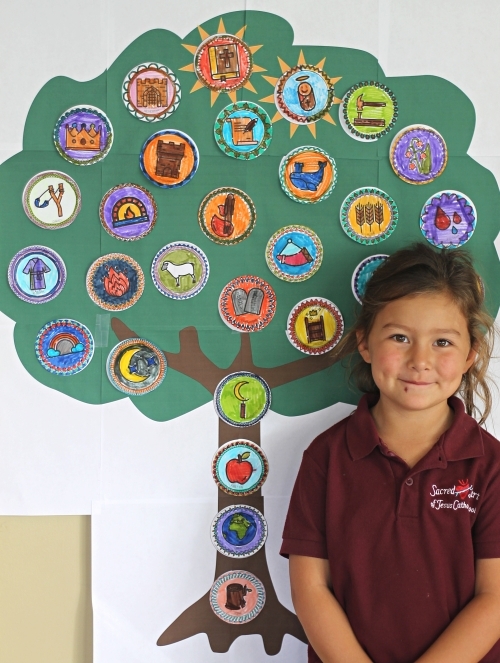 Guide for parents with suggestions for using the Jesse Tree each Advent. HOW IS THIS DIFFERENT FROM THE JESSE TREE I ALREADY DO WITH MY FAMILY? 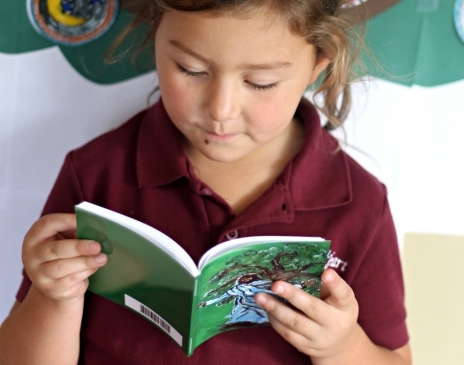 This booklet draws on the same, timeless Jesse Tree tradition many families have been using for years. The only difference: this one is EASIER to use with young kids! Instead of long, confusing verses to read each night, I have included just a few POWERFUL verses for each ornament. I have also researched and written a kid-friendly explanation for each ornament that strives to explain the context and apply this story to our own lives. Finally, the booklet includes a focused prayer for each ornament that will help reinforce the lessons of the Old Testament. So, the booklet does not offer a "new" Jesse Tree. Not at all. 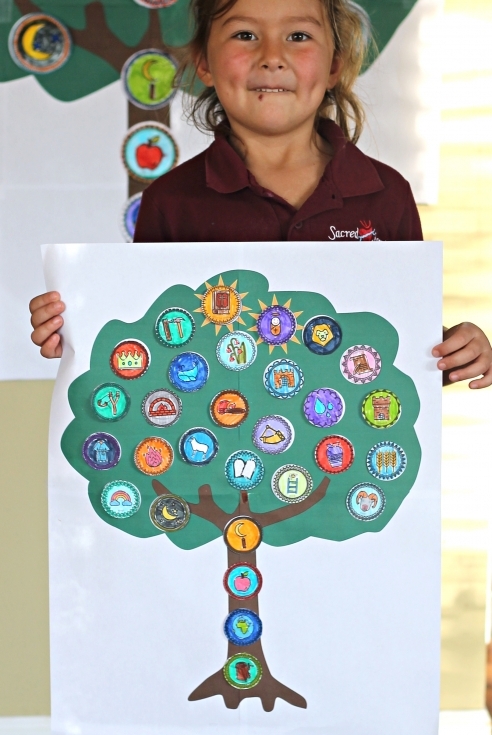 It is the same Jesse Tree activity, only much easier and more meaningful for families! WHY ARE THERE 29 CHARACTERS AND NOT 25 LIKE MOST ADVENT CALENDARS? There are 29 characters (days) included in this book because the Jesse Tree is based on ADVENT, not DECEMBER. Also, the Jesse Tree is not meant to be a "Christmas Countdown". No, the Jesse Tree is an Advent activity that PREPARES us for Christmas. Many secular Advent Calendars offer only 25 days because they aren't attached to the liturgical calendar. However, since Advent can be anywhere from 23 to 29 days, I have worked hard to make it easy to use the book, not matter now long Advent happens to be. Included with this purchase is a detailed guide for using the book for every possible length of Advent. ARE ORNAMENTS INCLUDED WITH THE PURCHASE OF THE BOOK? The ornaments are printed in the back of the booklet, but they are also available digitally. When you purchase you will instantly receive a folder of digital files that you are encouraged to save to your computer. Included in that file are two versions of the ornaments: Large and Small. This way you can save the file and print off as many copies, for as many years as you like! WHAT IF I'D PREFER TO MAKE FELT ORNAMENTS? 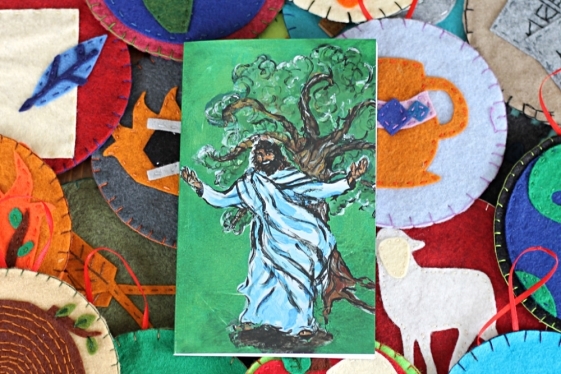 One of the listings of the Jesse Tree includes all 29 felt ornament patterns. For more details, click the button above. IS THIS BOOK GOOD FOR JUST 2018? WILL I BE ABLE TO USE IT NEXT YEAR (AND THE YEAR AFTER...) AS WELL? The Jesse Tree Booklet is as timeless as the Jesse Tree itself. No matter how many times you go through the readings and reflections, there is always more to learn and explore. Purchase the booklet now and use and enjoy it every Advent for years to come. CAN I MAKE COPIES OF THE BOOK AND SHARE WITH MY PARISH OR SMALL GROUP? No, you may not make copies of the book and distribute them. However, I do offer a special listing for Group Leaders and Parishes. For $60 you can receive 2 hard copies of the book AND the digital copy of the book that you can copy and distribute as much as you like, both this year and for years to come. If you would prefer to make your family a set of felt ornaments, I can help you with that too! You can purchase the complete set of 29 felt ornaments patterns with your booklet for $16. This purchase includes ALL of the digital recourse as well as all of the felt ornament patterns. To purchase the felt patterns with your Jesse Tree, simply click the button above and select that option.